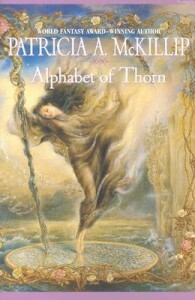 Today I am thrilled to have a guest post written by fantasy and science fiction author Patricia A. McKillip! 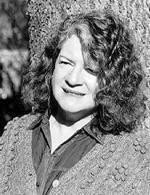 Her works have been published since the 1970s and glancing through her titles it appears she has approximately 30 individual titles published, including short story collections. 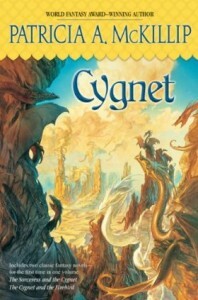 Her work isn’t just astonishing for its quantity but also its quality and influence: she has won the World Fantasy Award and the Locus Award, her work has been a finalist for both the Hugo and Nebula Awards, and her work has both won and been a finalist for the Mythopoeic Fantasy Award multiple times. I was (sadly) late to discover her work when I read and was stunned by a short story collection by her last year, but when I mentioned it on Twitter and Goodreads the volume and sheer glee of the response I got back told me how treasured an author she is in the SF&F community. 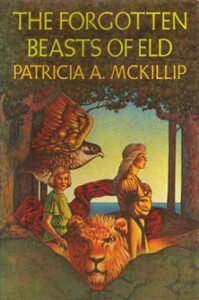 Since then, I’ve picked up one of her oft-recommended books, The Forgotten Beasts of Eld, and once again found a book I loved and wondered where this amazing author’s books have been all my life. 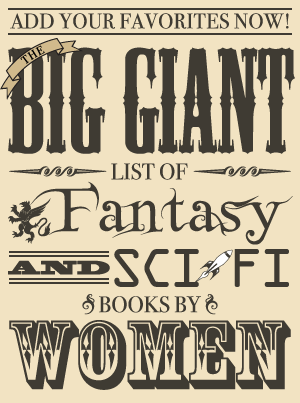 It’s with great pleasure that I present her guest post today, in which she discusses both the growing involvement of women writing fantasy and science fiction in the last few decades and the growing number of women as the heroes in these stories. I hope you enjoy reading it as much as I did! I grew into reading during the 1950’s and the 1960’s. I was very lucky to have an older sister who also loved to read. We shared books, comments, and literary allusions from an early age; we stole each other’s books, like The Once and Future King, when there was only one copy and we couldn’t wait for the other to get done with it. Gradually, sometime in our early teenage years, as we read Dumas, Stevenson, Kipling, etc., we both realized we had come up against what was then a commonplace of storytelling: the men had all the adventures. The women only appeared on the last page of the novel to receive a chaste kiss when the hero finally returned from the sea, from exotic lands, from foreign courts, fairytale kingdoms, and the Foreign Legion, to her. I studied English Literature in the late 60’s and early 70’s, because I thought the best way to learn to write was to read the best writers I could find. At least 95% of what I read to get my Master’s degree was written from a male point of view. (This was before Women’s Studies and World Literature came into their own.) I read a great deal and learned a lot about writing from writers as diverse as William Faulkner, P.G. Wodehouse and J. R. R. Tolkien. 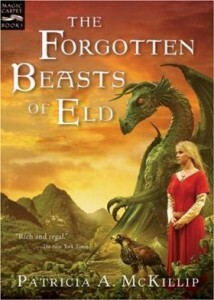 But when I sat down to write my first major fantasy, The Forgotten Beasts of Eld, I didn’t question the point of view that came out of my pen. It seemed very natural to me to wonder why in the world a woman couldn’t be a witch or a wizard, or why, if she did, she had to be virginal as well. Or why, if she was powerful and not a virgin, she was probably the evil force the male hero had to overcome. Such was my experience reading about women in fantasy, back then. So I wrote from the point of view of a powerful female wizard, who, even after she married, was the hero of her own story, and whose decisions, for better and for worse, were her own. That was published in 1974. By the mid 80’s, both fantasy and science fiction written by women shared the amazingly expanded SF&F bookshelves in bookstores and libraries. The sheer volume of women writing about women was, to me, a staggering and wonderful thing to be celebrated. What happened to cause such a change in the number of women writing and being published? I have never studied the subject, but, thinking about the question, I came up with a few ideas. In my own family, my sister and I were the first of our generation of cousins to go to college and get degrees. My parents, both children of generations of farming families, grew up during the Depression; neither was encouraged to attend college, though my father went for a couple of semesters before he joined the Air Force and fought in World War II. The post-war “Baby Boomer” generation was untroubled by either Depression or World War; we grew up in more stable and more prosperous times. My father was stationed in the San Francisco Bay Area during my high school and college years. Thanks to the wonderful California State College system back then, my tuition was $32 for my first semester, climbing to $80 a semester by the time I received my MA degree. (That would have been, for a family with six children living on Air Force pay, just about the only way my parents could have afforded to send me and my siblings to college.) I suspect that many of the young women whose parents lived through the depression and war were encouraged, during those more peaceful and prosperous times, to further their education. We had the time that our mothers might not have had to read and learn to write. Which brings me to what my generation was reading. I was reading my way through my very Catholic, all-girls high school library in the early 60’s when I chanced across a strange book called The Hobbit. It was like nothing else I’d ever encountered, and certain images—Bilbo and Gollum playing their riddle game deep in the underground cave—stayed with me for years. By the time I got into college The Lord of the Rings had been published in the U.S. and much of my generation, it seemed, not only had read the books, but wanted to live in them. For me, the experience was a grand awakening of an imagination that had been pretty much walled in by the medieval imagery of Catholicism, along with a scattering of obligatory, rather bloodless Western myths. Tolkien riveted a generation of budding writers, revealing the power of both imagination and language. He opened the doors of publishing to works of the imagination that were nothing like the novels I read for my English Lit degree. I wanted that knowledge, that experience, that art that had created The Lord of the Rings. I wanted to write my own “trilogy”. And years later I realized that there were many young would-be writers, men and women, who responded with equal passion to that challenge of language and imagination. In the late 60’s and early 70’s, there were many things to be passionate about, to march against, to strike for. During those years, I heard the word “feminism” for the first time. I had no idea what it meant. I thought that you had to understand what it meant to be a woman before you could be a genuine feminist. It was years before I realized that was the point of feminism: women defining for themselves what it is to be a woman. Mainstream novelists like Margaret Atwood and Erika Jong, writing about the question, opened more publishing doors for women. Their success, I think, broke the ground for other genres as well. Maybe they would never read science fiction or fantasy, or want to be known as genre writers. But perhaps the fact that women mainstream writers were getting critical attention and earning money with their writing pushed the doors open a bit more for women writers of other kinds of fiction. Again, I haven’t studied this question. But I can’t have been the only young woman reading Erica Jong’s Fear of Flying while I wrote my Tolkien-inspired fantasy trilogy. The attention and financial success of the novel must have encouraged every woman trying to write. Feminism found its own way into genre, with female characters ruling their countries, becoming warriors and wizards, becoming, at last, the heroes of their own tales. That’s why I am astonished to find that there are still questions about female writers. Can they write science fiction as well as men? Will male readers buy and read books written by women? I thought by now we had answered those questions. Obviously, if they still come up, we have not. I don’t have answers; I only have a list: C.J. Cherryh, Connie Willis, Lisa Goldstein, Nancy Kress, Suzy McKee Charnas, Ursula K. Le Guin, Octavia Butler, Marion Zimmer Bradley, Delia Sherman, Angela Carter, Vonda McIntyre, Robin McKinley, Jane Yolen, Kathleen Goonan, Ysabeau Wilce, Janny Wurtz, Kij Johnson, Elizabeth Hand, Greer Gilman, N. K. Jemisin, Catherynne Valente, Ellen Kushner, R. A. MacAvoy, Nalo Hopkinson, Ellen Klages, Joan Vinge —these are among the many novelists who have appeared on my shelves since the lean years before the 70’s, when we were hard pressed to hear a woman’s voice on the pages. I am happy to be in their company. 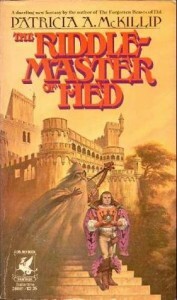 McKillip’s stories usually take place in a setting similar to the Middle Ages. There are forests, castles, and lords or kings, minstrels, tinkers and wizards. Her writing usually puts her characters in situations involving mysterious powers that they don’t understand. Many of her characters aren’t even sure of their own ancestry. Music often plays an important role. Love between family members is also important in McKillip’s writing, although members of her families often disagree.